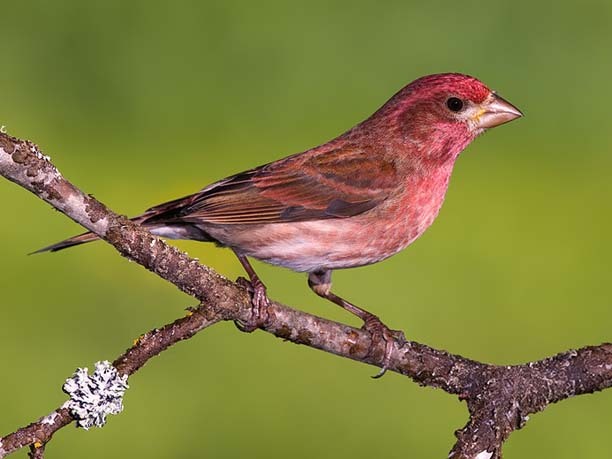 The range of the Purple Finch has moved an estimated 433 miles northward. The National Audubon Society issued a press release on February 10, 2009 with findings that show a correlation of bird movements to a warming climate. Here is the beginning of the press release, to read the full report click here. “The northward and inland movement of North American birds, confirmed by thousands of citizen-observations, provides new and powerful evidence that global warming is having a serious impact on natural systems, according to new analyses by Audubon scientists. The findings signal the need for dramatic policy changes to combat pervasive ecological disruption. The National Audubon Society has several recommendations on action than can be taken to offset global warming including signing a petition. Check them out there page on Global Warming here. Please understand: as the earth wobbles on its axis, the Atlantic Ocean/Chesapeake Bay shorelines advance and recede on a precise 23,000 year cycle. Based on the status of the polar ice cap vis a vis its line of declination to the sun. This has been going on for hundreds of thousands, probably for millions, of years. And no Obama Volt, windmill or government mandated bamboo shoot diet is going to change that! However, there are some embarrassingly simple things that the current residents of today’s receding Atlantic shoreline can do to greatly modify the effects of this “sea level rise”. Specifically, we should stop squandering the navigation channel dredge spoils that the central government is, at some considerable expense, parking in a series of ill conceived (Chesapeake Bay watershed) USACE vertical dredge spoil sites. Including Craney Island and Popular Island. And through the use of hydraulic rotary cutter head pipeline dredges and Rolligon amphibious ditcher-spreaders, use, instead, these navigation channel dredge spoils to reconstruct the fringe marshes and tidal creeks of the Chesapeake Bay watershed. And thus greatly modify the flooding associated with major rainstorms, hurricanes and big northeasters. The answer to modifying the local effects of rising sea levels involves reestablishment/establishment of large, healthy fringe marshes (living shorelines). And by unblocking those tidal marshes that have been cut off from their estuaries by poorly planned roadways and rail lines. Simply by depositing navigation channel dredge spoils on a long intertidal slope just seaward of certain bulkheads and eroded shorelines nearby, beautiful, vibrant fringe marshes could be reestablished in one short year. And by enlarging culverts that pass beneath obstructing roadways and rail lines. An acre of salt marsh can remove as much carbon dioxide from the atmosphere as can ten acres of (tree farm) pine or oak plantings. Vibrant salt marshes are essential to the health of a plethora of songbirds, rails, herons, shorebirds, herons, ducks and geese. The restoration and preservation of tidal salt marshes rests in the judicious use of navigational channel dredge spoils. It is unconscionable for the US Corps of Engineers to continue to squander these resources in vertical dredge spoil sites. The Global Warming “Scientists” like Al Gore, continue to ignore two of the most important studies on control of rising sea levels, reestablishment of critical tidal marshland sponge effect, as well as estuary tidal water cleanup. The first is the work of former US Senator and American sportsman John Breaux. Witness: the pipeline dredging of shipping channels in the Mississippi River and placement of the associated dredge spoils, on long 1:6 intertidal slopes just seaward of eroded shorelines. So as to reestablish healthy fringe marshes. Within one year, without marsh grass planting, and without rip rap sills, new living shoreline (fringe marshes) can be established (reestablished)’. These marshland restoration projects are ongoing or already established in Galveston Bay, in Little River Marsh, New Hampshire, in coastal New Jersey and Delaware, in coastal Louisiana, in south San Francisco Bay and elsewhere. The second study is that of BC Wolverton, a NASA environmental engineer. Wolverton has shown that new (living shoreline) marshes can remove sediment, nitrogen, phosphorus, raw sewage, Hepatitis A viral particles, heavy metals, coliforms and PCBs from the waters that flow through them. During twice daily tidal cycles. Accordingly, water clarity is markedly improved and thus the ability to grow submerged aquatic vegetation is enhanced! In addition to restoring the vital sponge properties of tidal watersheds. Sponge properties that are essential to modify the damage of rising sea levels. Especially during hurricanes, during heavy rains and during northeasters. And pipeline dredge restoration of fringe marshes could be done for practically nothing. Especially when considering the savings in disposal (repositioning) navigation channel dredge spoils….cf: instead of transporting same to Craney Island, Popular Island and other USACE designated vertical dredge spoil deposition sites. Pay attention! We need tidal marshes, not granite rip rap sills, volunteer trash pickup programs, oyster reefs, rain barrels, expensive Bacterra storm water filers, buffer zone shrub plantings and the other feel good-do nothing projects that you tree huggers are so anxious to promote. Listen! To modify the effects of rising sea levels, we must reestablish the fringe marshes and unblock those tidal marshes that have been degraded by poorly planned roadways and rail lines. Once the tidal marshes are restored, the storm water will take care of itself! But not vice versa. I plead with you and your collaborators to use your library cards before you offer more illogical, poorly researched concepts as those you have presented on Frontline, as well as in other similarly positioned articles. It’s about the sponge, stupid!